Switch to the Smarter Browsing! Afraid of the Internet | Let’s fight our Fears! Who’s watching you? | Discussion on Privacy, Trackers and Cookies! 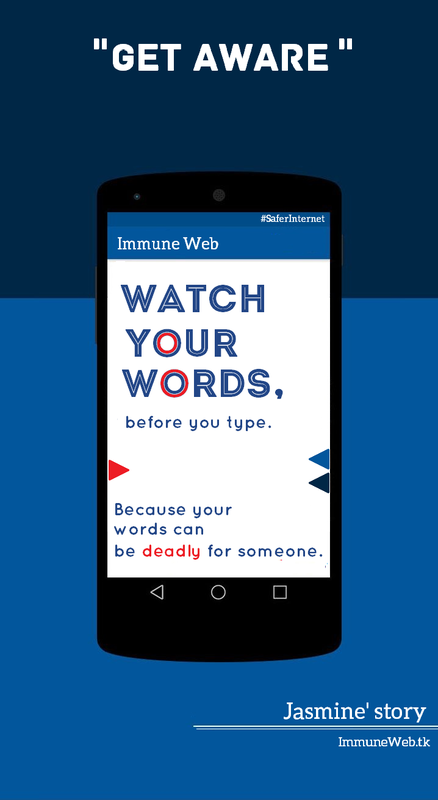 Let’s change the world’s view toward the web, it should be no more unsafe for anyone. How we literally kill others on the Internet! “I never met her in real life, we just talked on web. But I am sure that she was a really beautiful soul and a huge fandom of social networking. She loved sharing “what was on her mind“ with the world but, unfortunately, the world didn’t love her like she loved the world. She got disgrace, haterade & jealousy in return of her feelings. And as a last option she chooses to quit this judging world, that cares more about their views than a person’s feelings. So, above was a work of fiction that describe the current situation of this so-called “Developed” world. We judge others by their actions, but ourselves by our intentions. Everyone who just scroll down; likes or support one of those negative comments become a part of it; part of the crime, that hurts a person’s mind. We also know it by an another name: CyberBullying. Yes! It’s a part of it and most the time it develops a base for the bullies to attack the victims. And according to some studies, Bullying victims are 2 to 9 times more likely to consider committing suicide. Continue reading How we literally kill others on the Internet! Posted on April 25, 2015 April 26, 2015 Categories Confessions, CyberBullyingTags bully, cyberbullying, death, disgrace, hatrade, ignoring, jeaulosy, kill, life, murder, Quotes, suicide, support, teensLeave a comment on How we literally kill others on the Internet! CyberBullying: Does Bullies also deserve a chance to improve? | We ask you! This quote was originally said by Mark Twain, a great author from the United states who has written many great novels, including the best-selling, “The Adventures of Tom Sawyer”. I am mentioning this quote here because today’s article is all based decision-making & self-reflection. Continue reading CyberBullying: Does Bullies also deserve a chance to improve? | We ask you! Posted on April 19, 2015 April 19, 2015 Categories CyberBullyingTags bullies, bully, bullying, confessions, cyberbullying, improvement, Mahatma gandhi, mark twain, Martin luther, Quotes, The Adventures of Tom Sawyer, WEbLeave a comment on CyberBullying: Does Bullies also deserve a chance to improve? | We ask you! Today is 3/14/2015, which means today is Sir Einstein’s Birthday along with that, today is also the Pi “π” day which can be celebrated only today and maybe it’s just once in a Lifetime, so experience & enjoy it before it’s over!